Which Mini-Max? - Team Mini-Max, The World's Best Ultralight and Light Plane Kits and Plans. Because we have so many awesome choices, some people have a difficult time deciding which Mini-Max to build. Below are a few factors to think about when making your decision. 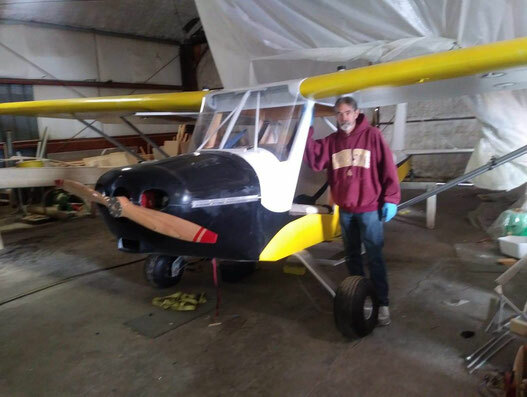 A Part-103 Ultralight like our Max-103 or 1100R doesn't need to be registered with the FAA and you don't need a license to fly (but of course you should get proper flight training). However if you have a Sport Pilot or Private Pilot's license, or are seriously considering obtaining one, you might want to consider one of our E-AB designs (Sport, Eros, Hi-Max, V-Max & AeroMax). They offer more performance and less restrictions on where you are allowed to fly. One great feature of the 1100R is it can be built as a legal Ultralight, then upgraded to a 1500R or 1600R Sport at any time. The Max-103 has a 22" wide fuselage. Some "XL" size guys might find this a bit snug. Most of our other designs are 24" wide, for a bit more elbow room. Of course the AeroMax cockpit has no sides so you have unlimited elbow room! The Max-103 ultralight is powered by a single cylinder 2-cycle 28-30 HP engine. So is the 1100R, if you build it to Part-103 specs. If you want a little more power, the 1100R can also handle a 40 HP engine, but the extra speed and weight puts it out of the ultralight category. Both the 1500R and 1600R Sport are also designed for a 40 HP 2-cylinder 2-cycle engines, and some builders have installed 2-cylinder "Half VW" engines. 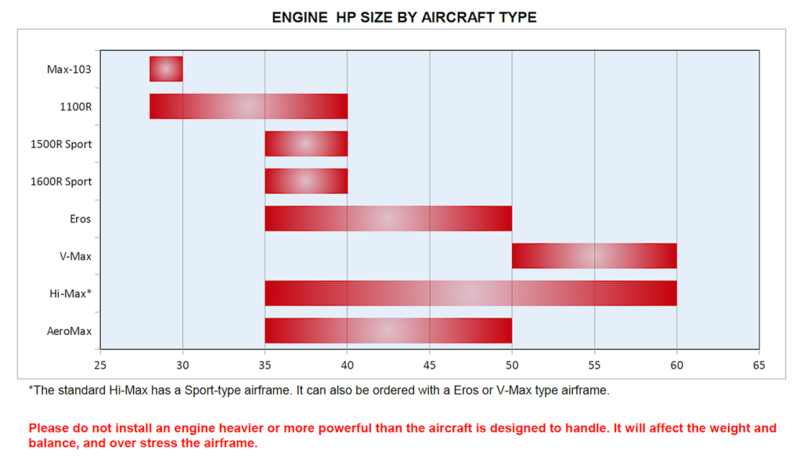 If you want even more power we recommend the Eros, AeroMax, or V-Max. The Eros and AeroMax are designed for 2 cylinder, 2 stroke engines in the 50 HP range. The V-Max fuselage and engine mount have been designed specifically for VW aircraft engine conversions, for those who want affordable 4-stroke power. The high-wing AeroMax and Hi-Max have outstanding visibility below; great for sightseeing & photography. The wing provides shade in flight and for your lawn chair after flying. They're a little more stable and can be flown hands-off for a short period. If you have a very rough airstrip you can install a spring gear on the Hi-Max. A spring gear comes standard on the AeroMax. Our mid-wing aircraft (1100R, Max-103, Sport models, Eros & V-Max) are a little more nimble, with the pilot sitting right in the CG (center of gravity). They have outstanding visibility when maneuvering, and some pilots just like look of a mid-wing aircraft. An enclosed cockpit (1600 Sport, Hi-Max) provides more protection from the elements, but some pilots like the look, unrestricted visibility and overall "fun factor" of an open cockpit (103-Max, 1100R, 1500R Sport, V-Max & AeroMax). 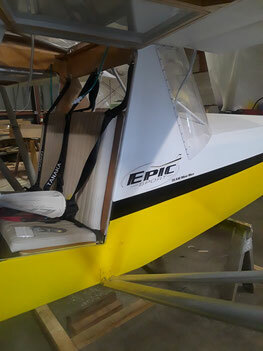 The Eros has an optional "convertible" canopy that can be converted from fully enclosed to open cockpit very quickly - the best of both worlds! The 1100R is our simplest and least expensive kit. 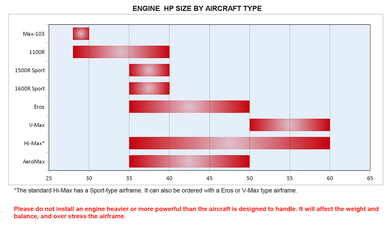 As you add more features (Sport models, V-Max, Eros, etc.) the construction time increases. The new AeroMax CNC laser-cut "quick-build" kit costs a little more, but with the plywood and metal parts pre-fabricated, you'll be up and flying much sooner. We hope this has helped you decide on which of our great aircraft you want to build and fly, but if you're still not sure, please call or email us any time. We'd be happy to help!